We are so often told about the various substances that are slowly killing us or otherwise ruining our bodies, so to receive even a tiny piece of good news about coffee practically seems like a gift from God himself. Here you go: A new study has found that drinking coffee is linked with living longer. Rejoice! He might take away our donuts, our cocktails, our steaks, and our cigarettes, but at least He's leaving us with our beloved wake-up juice. Be sure to savor the invigorating scent of the morning's first cup of joe—because you know it's the smell of being alive. This study, which was done by the AARP and the National Institutes of Health, is the largest of its kind that's ever been done. It analyzed data from 400,000 people, and the results clearly shows there's a small benefit to drinking coffee. What's not at all clear is why this is the case. In fact, as health obsessives may recall, previous studies have found that coffee can have negative effects—raising cholesterol and blood sugar and increasing the risk of heart attack, for instance. But the new study found, first of all, that many coffee drinker tended to smoke, drink alcohol, or engage in other behavior that might shorten one's life. Once those factors were controlled for, they discovered that for every cup of coffee you consume in a day, your chances of living longer go up just a tiny bit. As for how much your chances are raised, drinking just one cup per day reduces the risk of dying by 6 percent in men and 5 percent in women. The men who drank two or three cups a day were 10 percent less likely to die, and the women were 13 percent less likely. But really pushing it to the limit brought the biggest reward. For women who drank four or five cups a day, there was a 16 percent lower chance of passing away. Waitress, can I get a refill over here? This study, sadly, can only prove that there's an association between guzzling java and living to a ripe old age, not that coffee is the definitive cause of living longer. As for how coffee might be extending our lives, it's difficult to say. The study did find that coffee drinkers died less often from heart disease, stroke, and diabetes. They also were less likely to be killed by injuries, accidents, or infections. However, their risk of dying from cancer was the same as non-coffee drinkers. 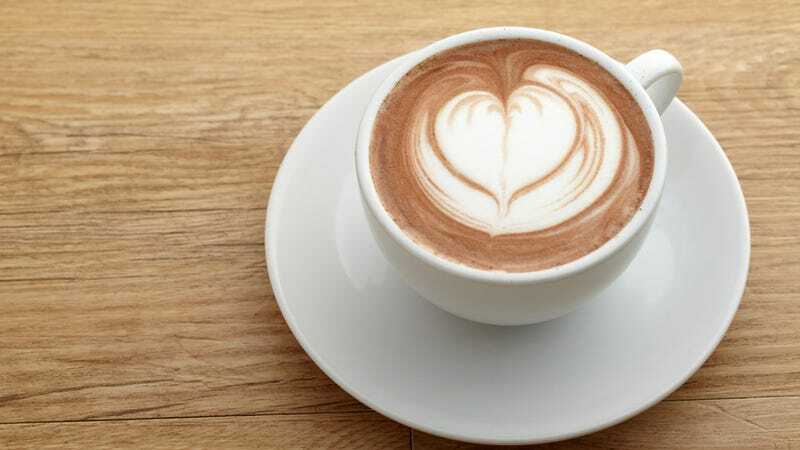 Previous research showed that coffee was linked with lower levels of inflammation and insulin resistance, so that might explain the lower rates of heart disease and diabetes. However, you'd think jacking yourself up on coffee might make you more likely to die from accidents—if you were all jittery and whatnot. Yet it doesn't. There are a gazillion things in coffee that might be the answer for its connection to increased longevity, but one thing they know for sure isn't responsible is caffeine. About two-thirds of people in the study drank regular coffee, and the rest took theirs decaf. They found it didn't make a difference which one people were drinking, the effect was the same. That is a relief, because downing six cups of caffeinated coffee might be a bit too stimulating for some of us—even if it means living longer. This way we can have a few cups of regular to get our brains started and make life seem worth living (which is important if we're going to be sticking around for a while). Then we can switch to decaf for the afternoon so that we might have some chance in hell of falling asleep at night, because an eternity spent tossing and turning from caffeine-induced insomnia is hardly it.